For Retro Wednesday this week we have two more Figmas! This time it’s Figma Kirino Kousaka and Kuroneko from the popular series Ore no Imouto ga Konnani Kawaii Wake ga Nai which translates to My Little Sister Can’t Be This Cute. But to make things easier we’ll refer to it how most fans call it, Oreimo. Now I’m sure i’m going to get the comments, “This isn’t retro! 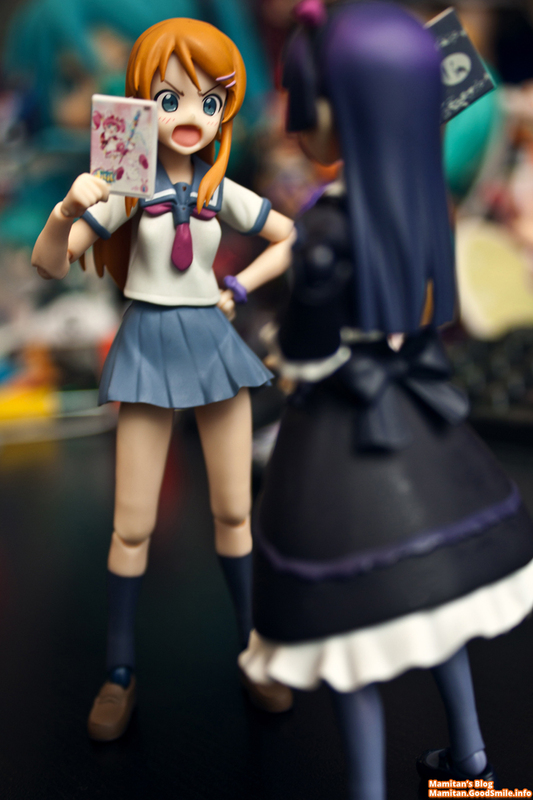 Oreimo isn’t old!” Well for Retro Wednesday it’s not all about “old” figures and series but figures we’ve created over a year ago. My goal is to show you some figures you maybe didn’t know existed! So let’s get started! First up is Kirino! She’s the main character in the series Oreimo. A basic synopsis is that Kirino is a secret Otaku! While at school and home everyone sees Kirino as this good student, fashion model and overall nice girl. But she’s got a dark secret! She LOVES Eroge and Anime! She finally opens up to one person however, her brother! Well from there I’d be spoiling the series for you! If you want to know more about the series it’s all on Crunchyroll! In the series her Brother helps her make some friends who are also into the same things she is, she meets up with Kuroneko, a goth loli girl who, while into anime has VERY different tastes, yet with their common bond of a love of anime they become quick friends! Well, more like Frenemies but again, watch the show to find out more! Kirino LOVES her Magical Girl anime and is a HUGE fan of the series Stardust Witch Meruru! 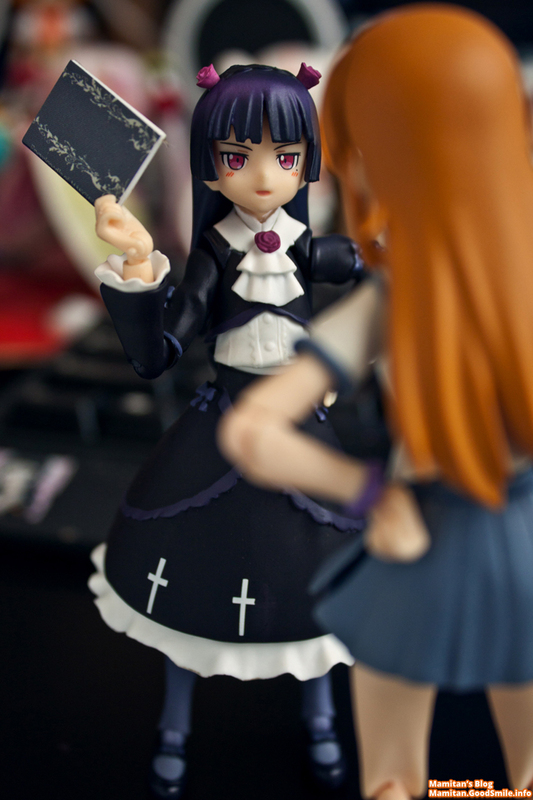 Arguing with Kuroneko about favorite anime is something do, and often! 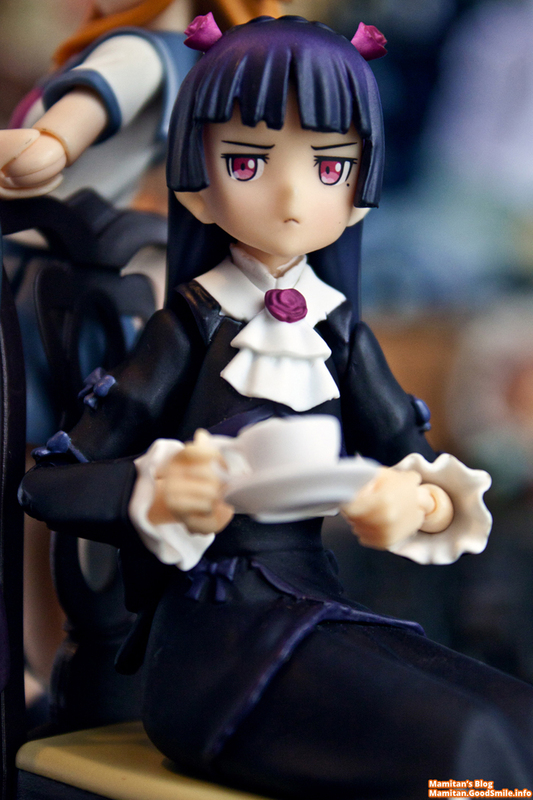 But as you can see Kuroneko isn’t one to back down and has her own favorite series as well! 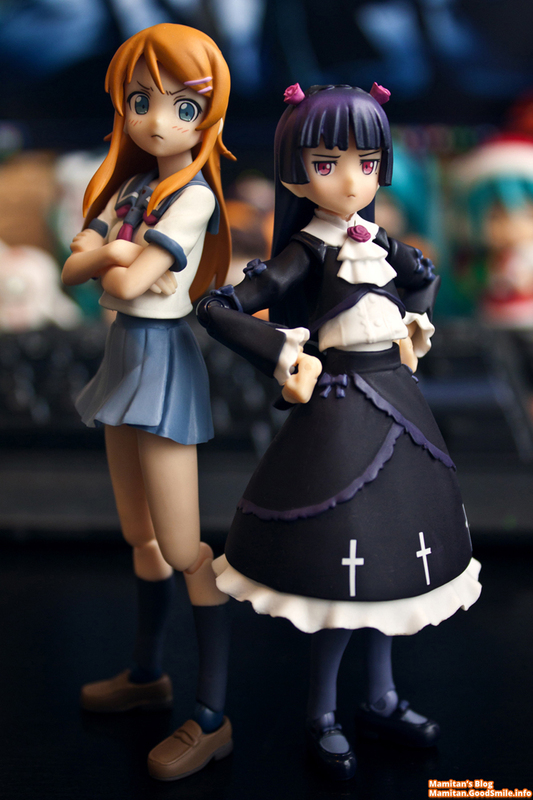 Oreimo is an awesome series and is full of fandom, hilarity and just wonderfully made characters. The figmas really do a lot to bring them to life especially since you can have the characters interact with each other as they would in real life! 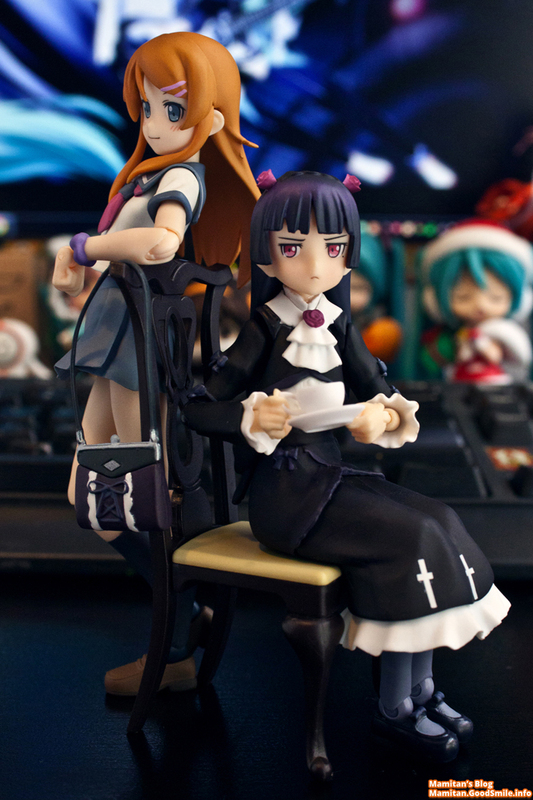 The option parts are fabulous, as you saw that Kuroneko comes with her own chair and a separate bottom to be able to have her sit down on said chair! 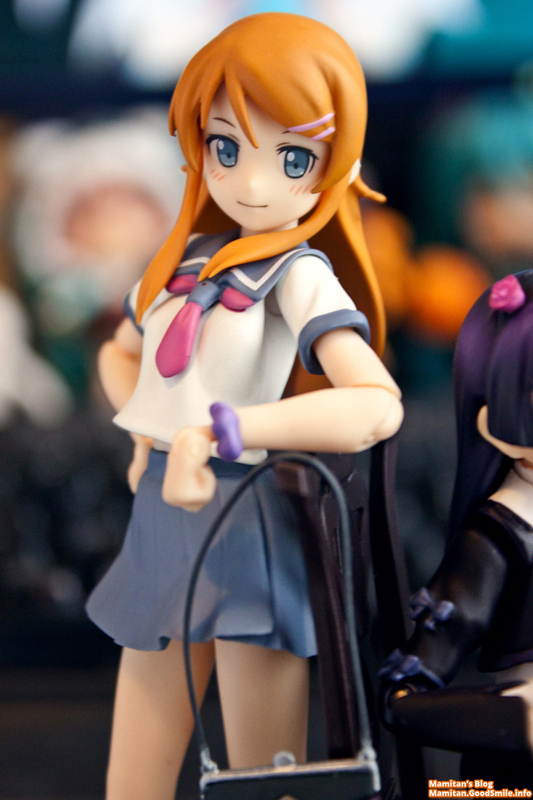 Kirino as well has her own option parts that include her favorite DVD and extra arms to do her classic poses! She’s on her way! She was too ashamed to be included in a post with two otaku! Still waiting for a Kyosuke figma ;v; I own the 4 figmas and I would die for him to have one as well~ It’s great to see these getting some love! They relase a Kyousuke figure that woud go along with Holy Angel Kamineko ….. it was an exclusive by Dengeki Hobby … got it and i think it cost me at least 10k for both of them XD but well worth it.